When I decided to come back into the Army the beginning of 2009, part of the process was sitting in the Military Entrance Processing Station (MEPS) to select the Military Occupancy Skill (MOS), or job, I would be trained in and do once I, hopefully, passed the physical and other exams. For some reason, people who are 'prior service' - those who have previously served in any of the Armed Forces - are offered fewer job selections than a 'first-timer'. Maybe the Army figures if someone is crazy enough to want to come back into the service, even after knowing what is like to be in the military, that person will take whatever job is offered. Whatever the reason, when I sat down with the career counselor at the MEPS, I was offered about seven different MOS' of which only one or two were truly realistic. I mean, c'mon, an overweight 43-year old guy being a 19D Combat Cavalry Scout? Not saying I couldn't have done it, but I probably would have needed a 68W by my side to keep me alive through the training. Anyway, one of the MOS' offered to me was 92Y Unit Supply Specialist. Since my civilian background was heavily involved in logistics, I seriously considered being a Yankee (how the related MOS I did choose, 92A Automated Logistics Specialist , refers to 92Ys - everyone else just calls them Supply). But in its own way, Supply can be just as challenging as any combat role. Supply reports directly to the unit Commander and First Sergeant so they get plenty of face-time with the boss, which, as you know, can be good and/or bad. Everything from paperclips to bullets, uniforms to MREs, desks to HUMVs, computers to weapons are requested, tracked and issued through Supply - the service Supply provides is like air, you don't realize how much you appreciate it until there isn't enough, or even worse, none. Another thing about Supply is for all of the tremendous responsibilities they have and how critical they are to the success of a unit's mission, it is not uncommon at all for there to be only one Supply Noncommisioned Officer in Charge (NCOIC) and maybe one or two Supply Clerks. It is no understatement to say Supply is one of the hardest working sections in a unit. 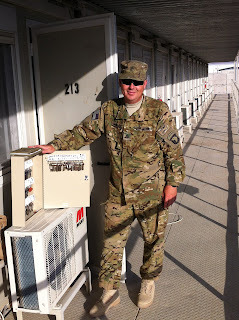 For instance, here in Bagram, our unit has one Supply Clerk and one Supply NCOIC; Staff Sergeant Johnson. SSG Johnson has been serving in the military since 1988 - 19 of those years Active duty - and has been deployed four times. Along with his one Supply Clerk - Specialist Johnson (no relation, as far as I know - and too shy for a picture) - SSG Johnson ensures our unit's personnel have a great air supply. @ Operation Buckeye; Boy Scout Troop 428 in Powell, Ohio: Thank you for the great box of treats, sweets and toothpaste for teeth! I kept the package of beef jerky for myself, gave the fruit gummis to someone in my platoon who loves them, and the rest of the box went to the Soldiers who spend all day outdoors on guard duty. @ Connor S. of Operation Buckeye - a snail mail is on its way to you. In the civilian world, if you are not feeling well or maybe stayed up a wee bit too late watching a football game you just had to see who won, you might call in sick and maybe get out of going to work that day. In the Army, where things can be just the opposite of the civilian world, if you are not feeling so hot, you go on sick call. However, unless you are seriously injured or sick, e.g. bleeding profusely from an existing/new orifice or exhibiting a consistent high-fever, chances are you will end up being sent back to work - your supervisor may cut you some slack and let you take the rest of the day off but that's typically a case-by-case basis. Sure, just like in the civilian world, there are people in the Army who seem to always have some kind of ache, pain or complaint and are always at some kind of medical appointment, but it is usually pretty easy to see which ones are really sick or injured and the ones who are just taking advantage of the system. In the civilian world those chronically faux-ill individuals might eventually get fired whereas in the Army they might not get fired, but chances are (particularly in today's down-sizing military) they would not be given the opportunity to reenlist; in some blatant cases of malingering, they could actually be administratively removed from the service. Most Soldiers, however, have just the opposite problem where unless they are initially seriously injured or sick, tend to wait until a medical issue is so severe they are forced by their peers or supervisor to finally go on sick call and see a Health Care Specialist (68W) - universally called a medic. Yep; just like in the movies. All Army medics initially go through about four-months of very intensive medical training and continue training throughout their military career. 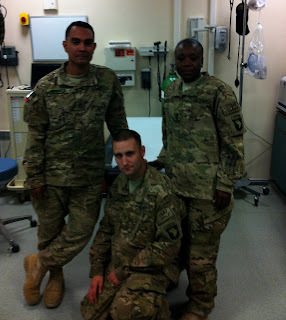 While they may later individually branch off into specialties like ear-nose-throat or optometry, almost all medics spend the first year or two of their careers working in sick call where they receive hands-on experience treating Soldiers while being overseen by well-trained and experienced supervisors. Here in Bagram, our medics include Private First Class Berger; who has about two-years in the Army and is on his first deployment. His well-trained and experienced supervisors include Sergeant First Class Urriola and SFC Robinson, who have 18 and 11 years in the Army, respectively. So, while I am on this deployment, if (knock on wood) I need to go on sick call or receive medical treatment, I know for a fact I'll be in good hands. @ Angela Wood of Fort Campbell, KY(!) - Thank you very much for the generous portions of Met-RX Bars and the laundry bag; that was really super kind of you; I hope you will let me take you and your husband out for a drink when I get back. @ Kim W. of Cheney, Kansas - You must know military people because your package was a perfect combination of treats, hygiene items and neccesities such as laundry soap. The peanut butter/cheese crackers went to the Soldiers on gate guard and the other treats were distributed to others but I kept the Iburprofen for myself! Please keep an eye out for my thank you letter. As you might imagine, military units do not deploy all at once, all together. Like Army Ants, they move in waves with scouts which go forward to clear the way and get things coordinated and arranged like, oh, say, places for the forthcoming Soldiers to sleep. 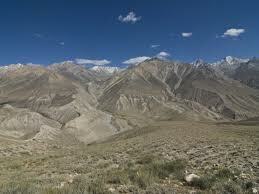 Typically, there is one person in the advance party who ends up responsible for the living quarters. This person is the one who keeps track of the empty or soon to be empty rooms and the assigning of rooms/room keys. That same person is usually the point of contact for maintenance issues - the one you go to when the air conditioner doesn't work (yes, we have A/C) or if the electricity is fritzzy or if there is a leak, etc. If you were living in someplace like NYC or Boston, they would be called the Super and their full-time job would be taking care of the building and the tenants' needs. In the Army, that person is usually called the Mayor. So, when me and about a hundred of my 101st CAB buddies arrived in Bagram a calendar line or two worth of days ago, it was late at night and we were still lagging with time-zone differences - we just wanted to know where we could stow our stuff and hit the rack - preferably in whatever space we were going to be staying in for the duration as we had been in transit for several days and wanted to be able to finally fully unpack and get settled; we were looking for the Mayor. When we found out Staff Sergeant Swisher, whose real job is the Battalion Safety NCOIC, was the one with room assignments and keys, we swarmed around him like, well, ants - crawling over each other in an effort to get a room and a bed. It was about 0100 local time (that's one o'clock in the morning to you civilian types) so it was dark out and, in typical Army fashion, a bit of controlled chaos (initially, maybe not so controlled) with Soldiers from various units within the 101st CAB hooking-up with their respective chains of command and trying to sort out where who was going where. Each Soldier also had at least three large, heavy bags they were trying to keep their eyes on as well so there was an obstacle course of piled duffle bags and ruck sacks. Oh, did I mention each of the buildings "yards" consist of baby-fist-sized gravel? The 100+ Soldiers walking around in combat boots on the rough stones added a constant grumbling white noise that sounded like someone crunching Styrofoam in your ear, which contributed to the general confusion by making it difficult to hear what anyone was saying even if they were right next to you. After a bit more controlling of the chaos by First Sergeants and a lot of work on SSG Swisher's part, almost everyone eventually got a place to sleep for the night - even if it wasn't where they were going to be permanently - just in time for the next wave of Soldiers to arrive, bags in hand, tired and looking for their room and rack so the whole process started once again. 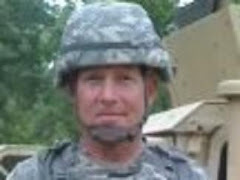 The "next" day (really just later the same day) SSG Swisher went door-by-door giving Soldiers their permanent assigned rooms and keys so they could finally unpack for real. Over the next few days and up to today, I have seen SSG Swisher almost everywhere: assigning rooms and keys; cleaning out rooms so Soldiers would have a place to stay; meeting with electricians and air conditioner mechanics so Soldiers would have lights and A/C and; in his office doing his "real" job - the Mayor gig is an additional responsibility he has to his normal duties. One of the things that impressed me that first night and since then, is how SSG Swisher, a 15-year veteran who has been to Iraq nine times (and is married with five kids), maintained a cool demeanor and a constant attitude of service - ensuring all Soldiers were taken care of by going the extra mile and working all and very long hours. In fact, if you were to ask me to describe SSG Swisher in just one word, it would be: "Super." 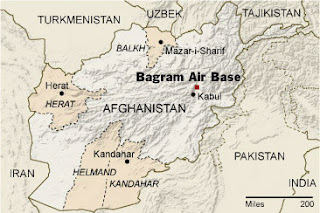 In case you didn't immediately check out the geostats of Bagram via the link I provided in my last post, the base is located in a valley amongst the Hindu Kush (Hindu Slaughter - more on that some other day) mountain range and has an elevation of approximately 4,895 feet. To put that in perspective, there are 5,280 feet in a mile. Fort Campbell is at approximately 544 feet. Making the difference between Bagram and Fort Campbell about 4,350 feet; or, the approximate elevation of my home town of Salt Lake City, Utah. 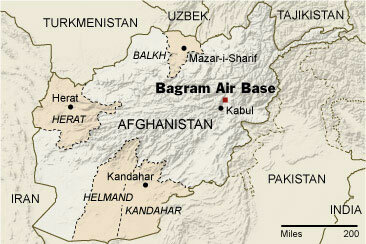 Meaning, if you add Salt Lake to Fort Campbell, you get the Bagram elevation - about three hundred feet short of a mile. As you might imagine, the air is considerably thinner here than what we are used to at Fort Campbell and it takes a bit of time to acclimatize to the change. I figured a week would be enough time for me to adapt and I decided to go for my first run yesterday. I knew there was a mile-loop within our area where many Soldiers do their PT, but I wanted something a bit longer without making multiple laps and figured I would try out the four-mile loop one of the soon-to-be-departing 82nd Airborne Soldiers told me about. Around 0530 I oriented myself on the sun to make sure I was tracking the compass points in relation to our living quarters and began my run. I took the first left-turn, as I thought the 82nd Soldier indicated, and hit a nice long stretch around a mile long. After about two-miles I knew I had gone well past our area but figured I would eventually come to the left turn that would loop me back so I kept on going - there were vehicles and other Soldiers on the road so I was not too concerned. After about three miles I was beginning to get a bit concerned since I seemed to be heading further east - the opposite direction of where I wanted to return. I was still passing Soldiers and vehicles but there didn't seem to be any roads heading back to where I wanted to go; "Good grief", I was thinking to myself, "this is going to turn into an eight-miler." The topography of the area is a bit like a very rumpled bed with rolling hills and dips so I couldn't depend on line-of-sight for orientation - I was basically tracking the sun and the departing/arriving aircraft from the airstrip to keep myself from going too far off the reservation. I was feeling the burn but finally came to T-intersection in the road where a left-turn looked like it would take me back. So I took the left and began heading down the straight road - that appeared to bend to the left about two-miles down. At this point, I had been running for about 50-minutes, had already gone at least five miles and was thinking I should only have to go a few more to get back; I was feeling the classic symptoms of altitude sickness such as fatigue/weakness, shortness of breath and I was a bit dizzy and light-headed, but, hey, that's how an old guy like me feels after running five miles. About 500 meters, or about a third of the way, down the straight-away, I realized there weren't so many vehicles passing me any longer and I hadn't seen any Soldiers in a bit either. I wasn't really concerned; more mad at myself for obviously missing a turn somewhere and figuring this long run was what I deserved for not paying attention. Then a white vehicle approached me, slowed down, and stopped. It was the Military Police. They rolled down the front passenger window and the driver asked me if I knew this was a "No PT route". "No," I answered, "I have only been in-country for a week and this is my first time running out here." She replied, "Well, there is a sign posted saying this road is a non-running route: this is called Sniper Alley." "Oh," I said, "That doesn't sound good." She told me to get in the vehicle and she would give me a ride back. I was very grateful as after I had stopped to talk with them, my body flooded with exhaustion and I could barely catch my breath. Well, it seems a ride back meant just 500-meters back to the T-intersection. They dumped me out there, and to add insult to injury, proceeded on the way I needed to run to get back. As my Dad would say, "Those dirty rotten, ratzzle, frazzing, grrmmble!" I really was beat by then and ended up mixing-up a bit of walking with my running but after around two-miles, I found the left-turn (now a right) I had originally missed - it was about at the two-mile mark from where I had first started - and finally ended up on the one-mile loop. After a little over 80-minutes of running and at least eight miles, I finally straggled back to my living quarters where I drained two bottles of water and collapsed on my bed. I am Very grateful I learned the name of "Sniper Alley" from the MPs (and the lift, short as it was) instead of personal experience and I am going to be much more careful about my routes, but I am still going to keep running, man. In early 2009 when I was contemplating rejoining the Army after 19-odd years of the civilian world, my family, friends and professional colleagues uniformly expressed various degrees of disbelief and dismay - the latter mostly by my Mom and only increased by the fact one of my main reasons of enlisting was specifically to serve in Afghanistan. After deploying to Tarin Kowt, AFG for a year and safely returning, it seemed the expectations of my family (eg Mom), and the corporate headhunters who continue(d) to inundate me with emails with job offers, were that I would complete my four-year enlistment/mid-life crisis and return to my old life and the "real" world. But while the Army has drastically changed since I left Active Duty in 1991 and at times it has been personally Very challenging for me to live an Army life, the basic reasons I rejoined the Army remain unchanged and, if anything, have become more focused: I want to serve my Country; I believe in the Army Values as well as the Creed of the Non-Commissioned Officer and; I believe I CAN make a difference. So, in order to deploy for nine months, once again with the very finest 101st Combat Aviation Brigade, I re-enlisted for two more years of Active Duty service. This time around I will have a different job, different responsibilities and will be in a different location - Bagram but look for the same result: successfully completing the mission and safely returning home to a celebratory sushi and champagne feast. will do my best to respond. Meanwhile, I'm Bag(ram) in the saddle again.